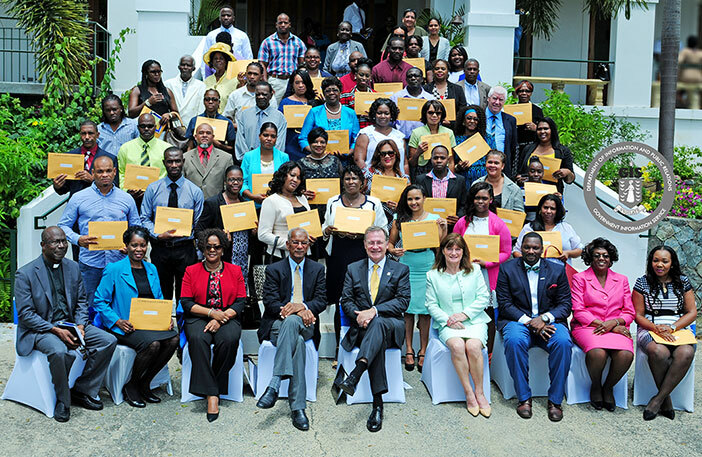 Fifty-two persons received their certificates of naturalisation and are now British Overseas Territories Citizens. His Excellency the Governor Mr. John S. Duncan, OBE presided over the Naturalisation Ceremony today at Government House and distributed the certificates to the new citizens. He congratulated them on “marking a key milestone in their quest for British Citizenship”. Premier and Minister of Finance, Dr. the Honourable D. Orlando Smith, OBE congratulated the new citizens and asked them to embrace all that is important to the Virgin Islands. Premier Smith said, “As a member of our ‘One BVI’ family, and having lived in the Territory for many years, I know that you have come to appreciate what is important to Virgin Islanders and who we are as British citizens. You have made the conscious decision to become an intimate part of who we are, and we embrace you. 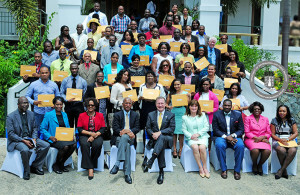 Premier Smith encouraged the recipients to guard their newly adopted citizenship by continuing to be a model member of the Virgin Islands community. Registrar General Mrs. Stephanie Benn, in chairing the proceedings, spoke on the “Joy of Giving” and encouraged persons to continue to give back to the society. Mrs. Benn urged the recipients to take care of their certificates and not to laminate them, as they will be needed on various occasions to show their status. Following the distribution of their naturalisation certificates at the ceremony, the new citizens recited the Oath of Allegiance to Her Majesty the Queen, as well as a Pledge of Loyalty to the British Virgin Islands at which point they officially became citizens. They then joined hands and sang “Reach Out and Touch – Somebody’s Hand”. Naturalisation is a process under the British Nationality Act of 1981 by which persons can become citizens of the Virgin Islands. Naturalised citizens become British Overseas Territories Citizens. As such, they may obtain a Virgin Islands passport and are eligible for a United States visa waiver. They can also apply to register as a British citizen of the United Kingdom. 27. Philip Tyrone Hines Jr.